They say breakfast is the most important meal of the day. Would you agree? 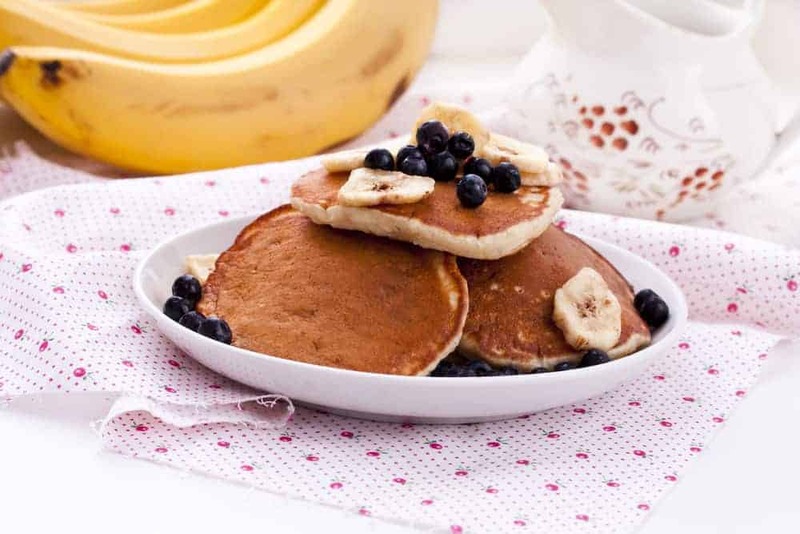 Have you ever tried to make gluten free pancakes … with your blender?! But it’s not just about eating any old breakfast, but eating a well-balanced, healthy breakfast that’s important. Here’s a quick, easy, and healthier version of pancakes made with oatmeal. This recipe is better than regular old pancakes because it will leave you feeling fuller throughout the morning. White flour, on the other hand, has the tendency to cause blood sugar swings, which could leave you feeling hungrier. Oatmeal also has a combination of both insoluble and soluble fibers, and can help stabilize blood glucose levels. Pair it up with some blueberries and you’re good to go! This recipe is gluten free, so it is good for those who have gluten intolerance. Oats are mostly free from gluten, but they may have been cross-contaminated with wheat in the packing process, so you may want to choose oats that have been specifically labeled as gluten-free. Make your own oat flour by grinding up the oats in your blender on high speed for about a minute or two, or until it is pulverized. Add in the sugar, baking powder and salt and blend for another 10-15 seconds until everything is well combined. Add in almond milk, eggs and vanilla and blend for 45-60 seconds until the mixture is smooth and not lumpy. Heat a medium-sized skillet and add in a few drops of coconut oil. Swirl the pan to spread it around. Pour 1/3 of a cup of batter into the pan and allow it to spread into a circle. Let the pancake cook and then flip when bubbles appear on the top and start to pop. Cook until center is dry. Serve with some butter, maple syrup and blueberries (optional).